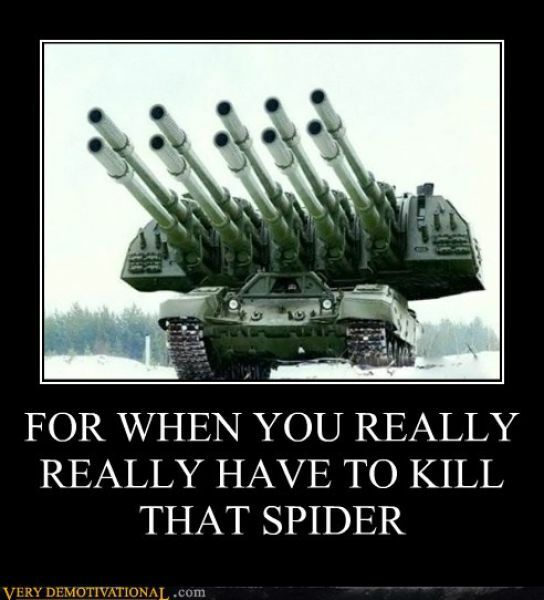 This entry was posted in laughs and tagged 9gag, a really REALLy big gun, awsm, Awsmblssm, blssm, Funny, haha, humor, humour, i hate spiders, i REALLy hate, image, izizsmile, lmao, lol, picture, spiderman, tank. Bookmark the permalink. you two! fight to the death!